Here is a handy tool that lets you cap any non-wist off bottle effortlessly. 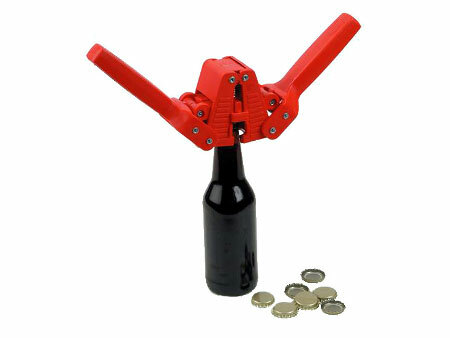 The Perrysbrewer Bottle Capper comes with 55 caps for beer, cider, and other bottles. This all metal capper is ideal for homebrew beer makers.